There are many ways to get fit and healthy, from time at the gym by yourself through to personal training and group fitness programs. 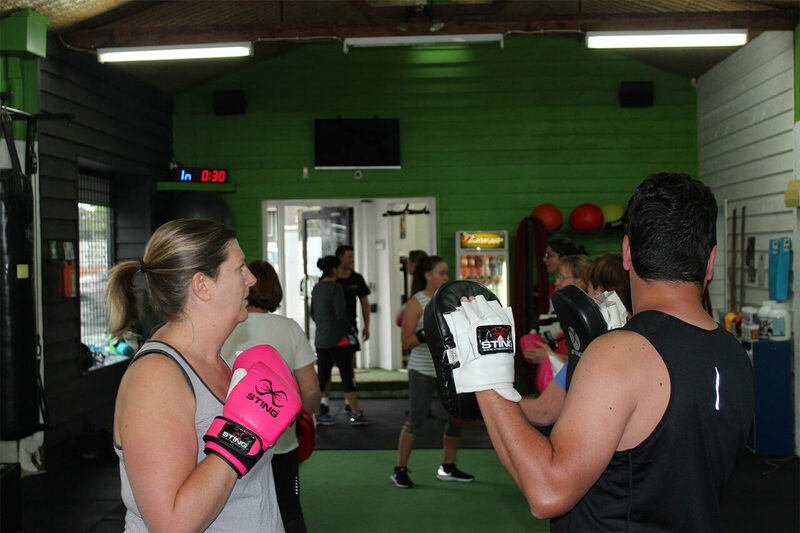 Along with our respected one-on-one and semi private sessions, Fighting Fit PT also provides inspirational group fitness classes in Melbourne. Working out alongside other people has a number of advantages over private sessions, including group interaction, motivation, and good old-fashioned fun. Group fitness training is also incredibly accessible and affordable, with classes held at our Preston facility all week during the day and evening. Here at Fighting Fit PT, we provide a range of fun and effective training sessions in a group environment. Classes are available during the morning and night, with no more than 14 people allowed per class. This helps us to develop a personal relationship with our clients and allows us to focus on individual participants within the group setting. Whether you want to lose some weight, tighten your muscle tone, or improve your flexibility, all of our group fitness training sessions are designed to be fun and fast full-body workouts. 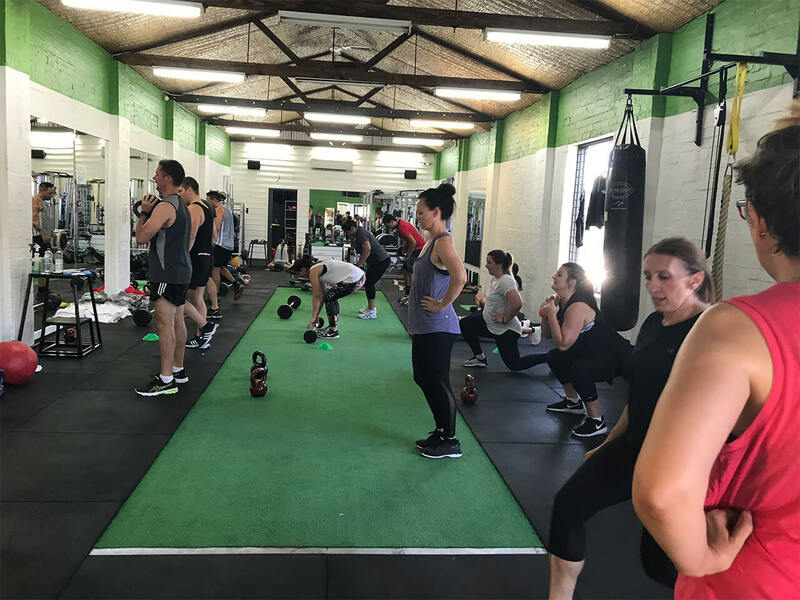 Our group fitness programs for clients in Melbourne are based on high intensity interval training (HIIT), a form of interval training based around a sequence of alternating fast and slow movements. In a typical HIIT session, you will be put through intense periods of activity followed by slower movements or periods of rest. A HIIT exercise series is designed to improve athletic performance and speed up metabolism, with the time of the workout session changing according to the needs of the participant. Unlike other forms of exercise, HIIT provides cardiovascular benefits along with improvements to strength, balance, flexibility, and metabolism. While all of our group sessions are based on the HIIT paradigm, different trainers choose to focus on different elements. Standard HIIT sessions are often combined with endurance training, tabata training, circuit training, pyramid training, boxing, and a range of strength and conditioning exercises such as push-ups, lunges, weight training, and core strengthening routines. In order to measure performance changes and to quantify fitness improvements over time, we carry out regular performance tests and record changes to body composition. All group programs are structured over a period of months, with our trainers measuring body fat, muscle mass, metabolic age, water percentage, and bone mass on each cycle so you can see how far you’ve come. Our group fitness classes in Melbourne provide numerous benefits over isolated running and gym sessions. While everyone wants to get fit, few people have the motivation required to develop weekly training programs and to make them stick. Here at Fighting Fit, our group sessions provide inspiration and motivation every day of the week. While personal training allows for greater feedback between the trainer and client, group fitness provides a fun and competitive environment where people can grow together. Want to discover more? Get in touch with our team today.